News flash. Nokia is making a Windows Phone that is going to be packing a camera with something like 41MP. That’s bonkers and we’re getting more and more proof of the existence of this upcoming, groundbreaking phone. We were recently invited to a press event in NYC on July 11th where we suspect and expect to officially learn all about the Lumia “EOS”. But until then we keep getting leaks here and there about the phone. Up above you’ll notice a white smartphone housing that looks just like the various ones we’ve seen floating on the web. So good news for everyone wanting a white polycarbonate based EOS in the coming months. Who knows? Maybe we’ll see some more of our favorite colors like yellow or cyan in the mix. What color do you want? The device also recently had a “hands-on” with an internet leakster. 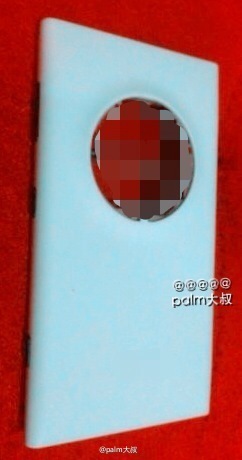 There we received plenty of photos of the device and even the video you see below of the optical focus.